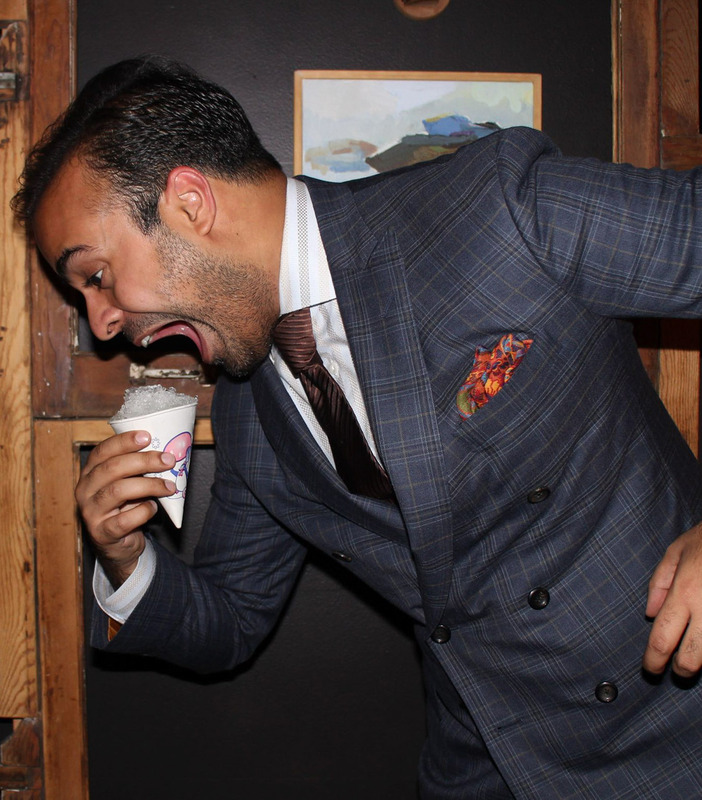 Sanjay enjoying a snow cone in sartorial elegance. A fashionable food writer and skeptical scholar, Sanjay wishes to apply his iconoclastic methods to all things food and beverage. His culinary journey has taken him around the world, studying under professional chefs in the United States, India and Japan. Currently, he resides in Chicago where he enjoys copious amounts of snow cone, year round. To read more about my goals with this blog, check out this article.